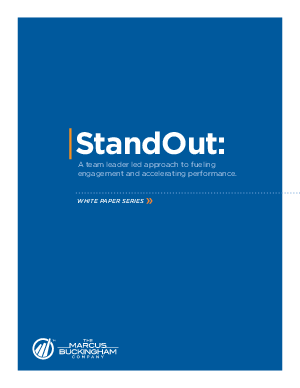 > White Papers > ADP > StandOut:A team leader led approach to fueling engagement and accelerating performance. Too irrelevant to the team leader. Such are the complaints heard repeatedly about Performance Management and Engagement systems. manager, not of you. Your organization, apparently unaware of this, then persists on paying you, training you, and promoting you—and everyone else in the organization—based on these flawed ratings.